No, she is not expecting! 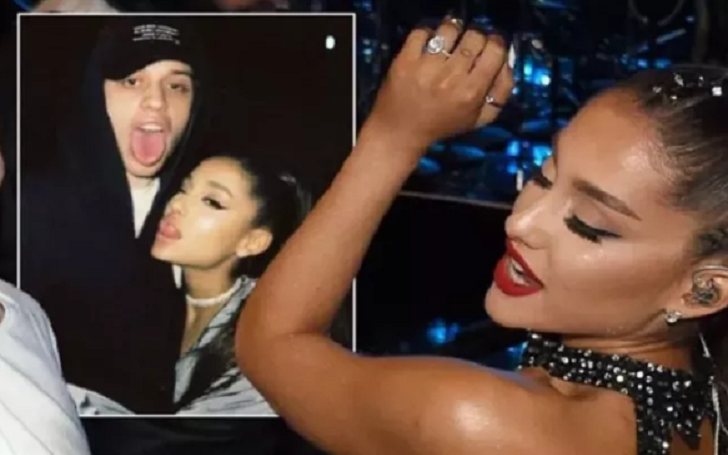 Ariana Grande has slammed the speculation made by fans that she is pregnant as she got engaged to boyfriend Pete Davidson just after a few weeks of dating. The Nickelodeon's Victorious star made it clear that just because she got engaged so quickly, that doesn’t mean she will be welcoming baby soon. The pregnancy rumor comes less than a couple of weeks after multiple sources confirmed the engagement of the singer and the Saturday Night Live star, 24, after started dating in May. Last week, sources reported that Pete gave Ariana a stunning diamond ring that cost a whopping $93,000. Since the news of the couple's engagement broke, they have moved into a $16 million apartment in New York City. As previously reported, during Pete Davidson's appearance on The Tonight Show Starring Jimmy Fallon on Wednesday, June 20, he officially confirmed his engagement to Ariana Grande. Pete and Ariana started their affair shortly after they parted ways from their respective partners. Almost two months ago, the songstress confirmed her split with rapper Mac Miller while Pete had broken up with actress Cazzie David after enjoying a romantic relationship for two years.